High quality magnetic kill switch. 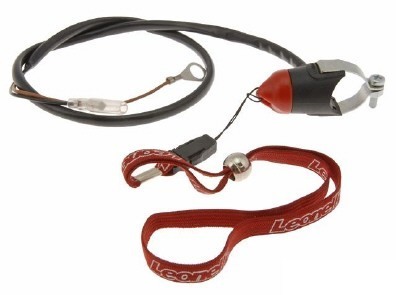 Designed to be connected by an adjustable wrist strap to the rider so electrical power is shut off should the rider have to abandon the bike. Waterproof, works on any motorcycle and adds a signifigant measure of protection for your bike, yourself, plus those around you. Mandatory for World Rounds and Nationals. Stock equiptment on many new bikes!